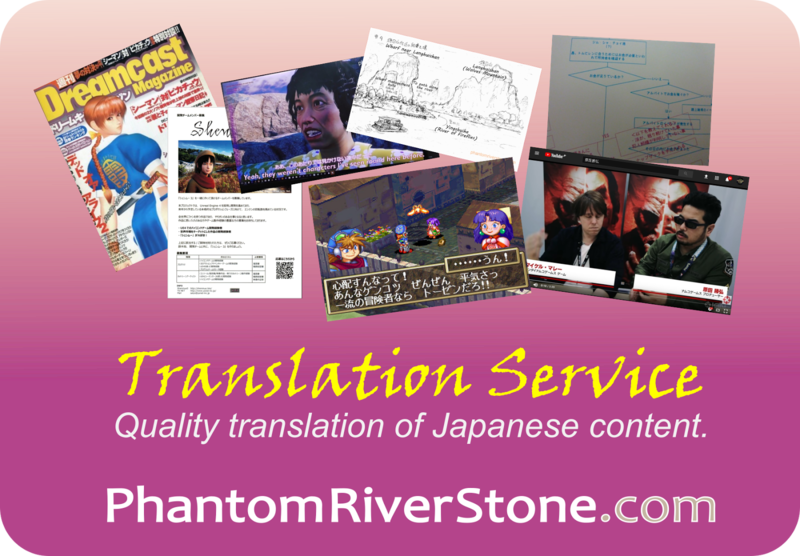 [Pinned] Announcement: Phantom River Stone is on Patreon! It is hard to believe that over two years have passed since the Phantom River Stone blog launched. 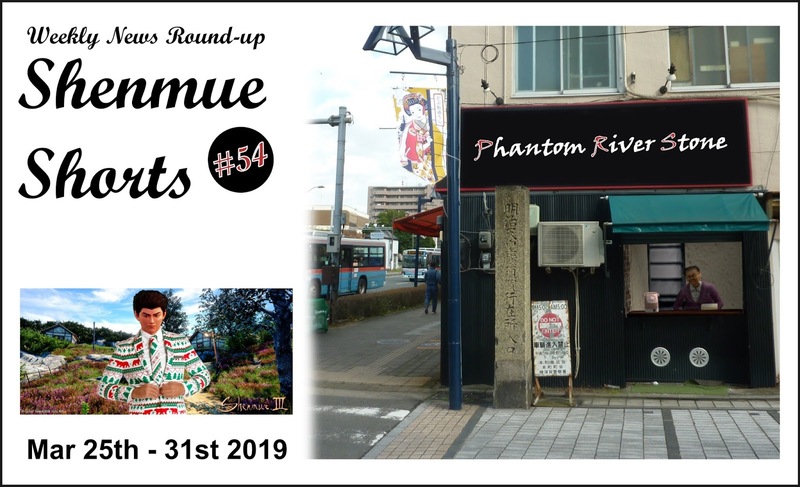 We've made more than 200 posts on our favorite subject: translations of community interviews, magazine articles and design documents, notes about everyday items and culture reflected in the game, photos of real locations around Yokosuka... just celebrating the awesomeness that is Shenmue. In order to sustain this rate of output, and dedicate the time needed for the translations and posts, I wanted to offer a way for blog readers who wish to help contribute to do so. And so, I am excited to announce our new Patreon page for Phantom River Stone! If you're not familiar with Patreon, it’s an easy way to give those who find the blog of interest, a way to support it directly. Plus, you will receive some great rewards in return, such as exclusive "behind the scenes" content, early access to blog posts before anyone else, and monthly voting on a future blog topic. 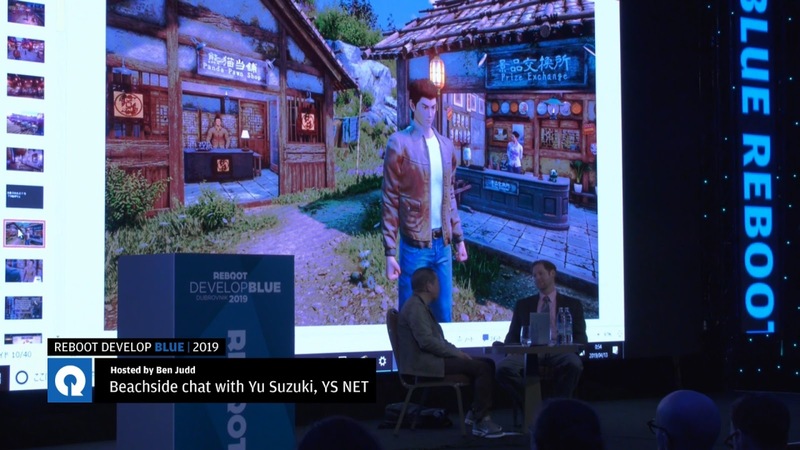 We also have a Discord channel for chatting about Shenmue and blog posts & I look forward to chatting with you there. There are several different reward tiers, which you can check out in detail on the new Patreon page. Thank you for considering becoming a patron of the blog, and regardless of whether you are in a position to offer financial support, thank you for being a reader of the blog! Click to open the Phantom River Stone page on Patreon! 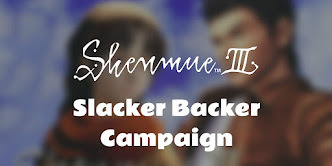 Work continues on the Shenmue Documentary, and last week Adam Sipione, the project's originator, released a Kickstarter Update to keep everyone informed on the current state. Currently work is continuing on editing the story, following which it will undergo refinement. Planning has been carried out for integrating some highly-stylized and cinematic pieces into the documentary to help set the mood: reference was made to the documentary's Kickstarter video teaser that can be viewed on the campaign page as an example of the kind of pieces we can look forward to. Backers are also reminded to submit your photos and videos for your rewards tiers. 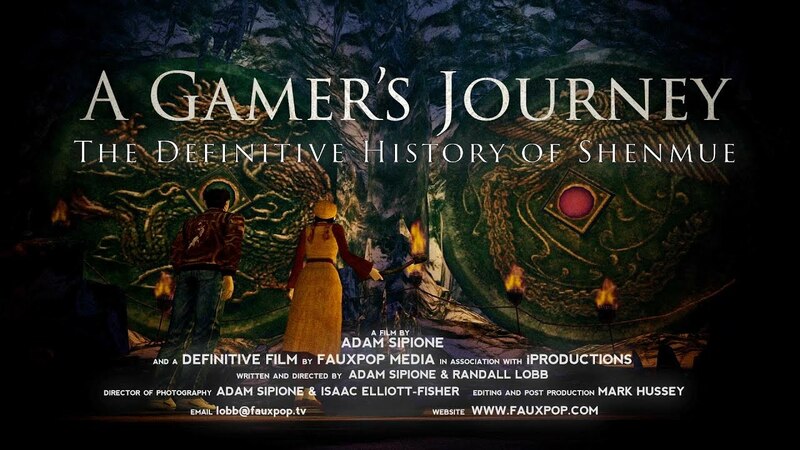 Note: in case you missed the message in February's update, the release date for the documentary has been adjusted to be after Shenmue III comes out (exact date to be confirmed). We complete our translation of a new article released by Japan's Weekly Famitsu magazine who interviewed Yu Suzuki about the latest state of Shenmue III. For Part One of the translation, go here. Q: There's also an element of having been able to realize in Shenmue III ideas that you've had from back then but weren't able to implement, isn't there. YS: Yes - although part of me wonders how much of what I originally wanted to do I've actually been able to realize. It's always been this way; I always want to take things further. To give an example from the Shenmue I and II days: when you order ramen noodles, they give off steam; when going to eat them, people hold chopsticks properly, pick up some noodles and the bowl's content decreases by the amount they've eaten; and when the noodles grow cold, the steam disappears. Q: That's "time," isn't it. YS: We add a time axis. For example, a cup of coffee that is left here [points at a coffee that sits in front of him in the conference room], will be gone tomorrow. Q: The liquid would evaporate, or someone might clear it away. Yu Suzuki shared several new Shenmue III screenshots at the Reboot Develop conference last week, and one of these was the above image of Ryo strolling along the waterfront in Choubu (Niaowu) at night. This post will talk some more about the first stand, as it has a few extra details of interest. 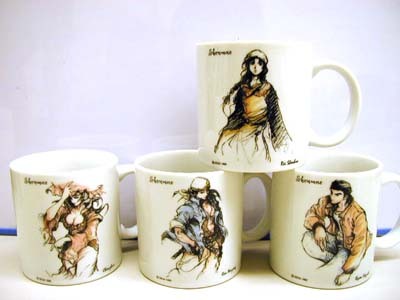 When Shenmue was launched in Japan back in 1999, there was a wide range of merchandise available for sale at the premiere event: calendars, ballpoint pens, figurines, posters and more. Today we'll focus on one of the types of merchandise items, namely the Shenmue mug. 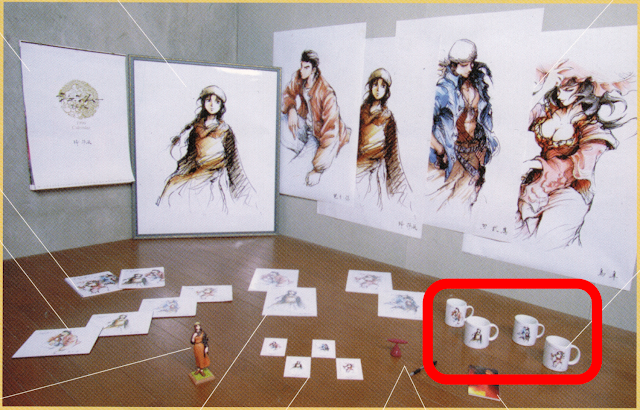 A closer look at the four designs: Shenhua, Niao Sun, Ren and Ryo. Niao Sun was one of the four major characters to be promoted during the Shenmue premiere, but she has yet to make an appearance in either of the first two games. 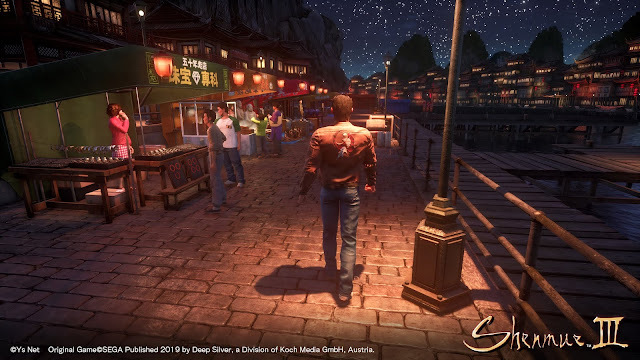 However it is the expectation of some fans that she will be making her debut in Shenmue III (and indeed what looks to be her character model was spied in the background of a 2017 Shenmue III "teaser" trailer). On the mug, above her image is the classic "Shenmue" logo; at the lower left corner the copyright text of "©SEGA 1998", and on the right the name of the character shown in the concept art. Instead of "Niao Sun" we see "Choujhun," which is the pronunciation of this character's name in Japanese. 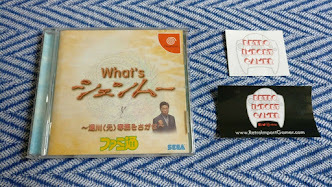 Turning our attention to the box, on the side it has a label with "Sega Enterprises" written at the top, followed by the company address in Tokyo and a free-dial number and service hours for the Dreamcast Support Center. Yu Suzuki can be seen sipping from one of the Shenmue mugs (the Shenhua one) back in Kickstarter Update #66. Even Ryo uses one, as can be seen in this (fan-created) image! 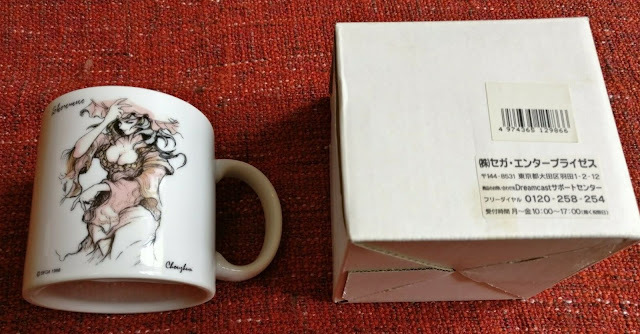 The Niao Sun mug shown in this article is currently available from our friends at Retro Import Gamer on their Ebay store. Item ships from the UK. 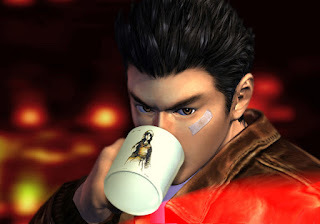 Or view other Shenmue items listed on the Retro Import Gamer website. This stunning new image above, showing Ryo at the wheel of - yes! 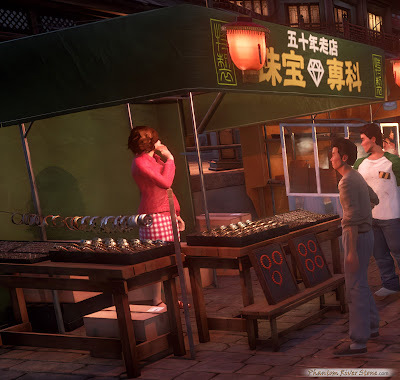 a forklift truck - in a warehouse setting, accompanied an article released today by Japan's Weekly Famitsu magazine who have interviewed Yu Suzuki about the latest state of Shenmue III. 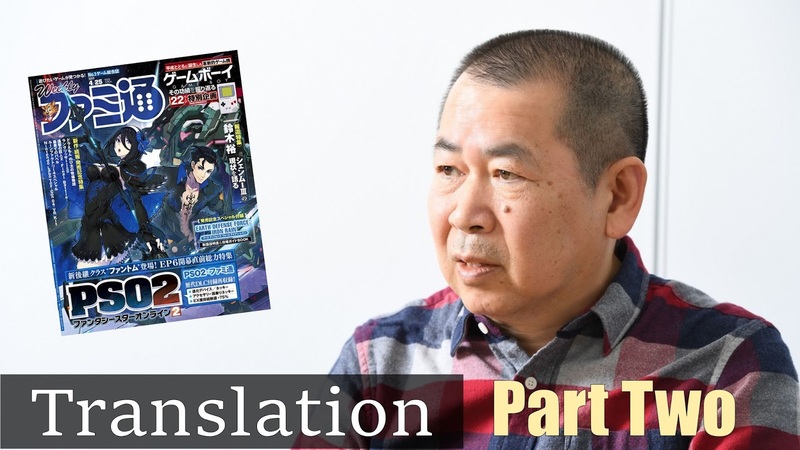 We are currently translating the interview, with a preview section below. 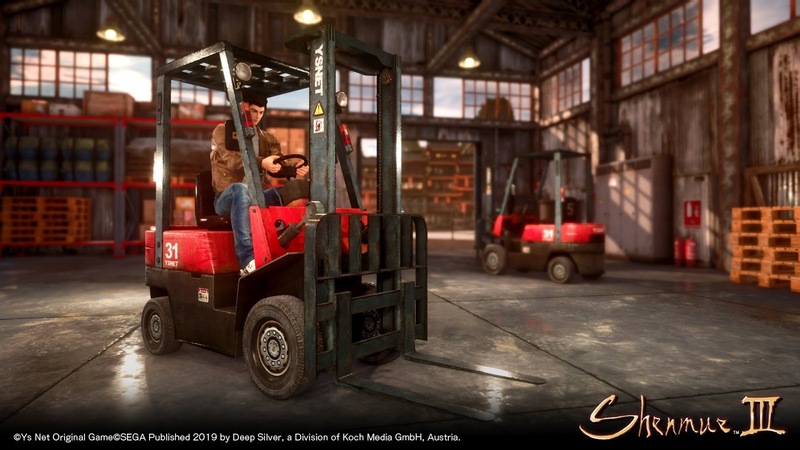 Image caption: Revealed to the world for the first time is the figure of Ryo Hazuki driving a forklift in Shenmue III! 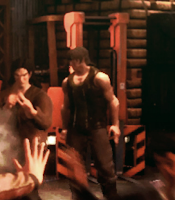 The location, which looks like a warehouse, has a different feel to it from the recent trailer or the images of Bailu village we saw during our private media viewing. Will the story take us to visit a harbor town again? In our 2015 interview, Suzuki had responded "The forklift's popularity is amazing, isn't it! I'm considering them," but it would seem that they will be implemented!! 1. In a 2017 Famitsu interview, Yu Suzuki said "Forklifts... if I don't include them, everyone will be upset with me. [laughs] Forklifts are being readied." 2. A forklift, albeit of a differing design, was also present in the background of the warehouse battle scene image distributed with Kickstarter Update #85 (July 2018). Each week we post a Shenmue news round-up, including selected fan community highlights, for our blog patrons.